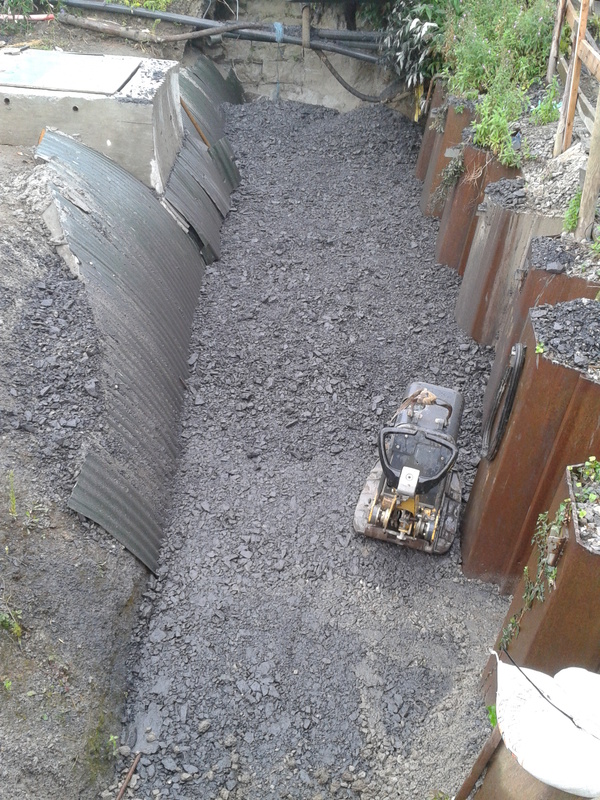 TAL was hired as the main contractor by the Irish Farm Centre, Dublin, to carry out works on an under-ground culvert. 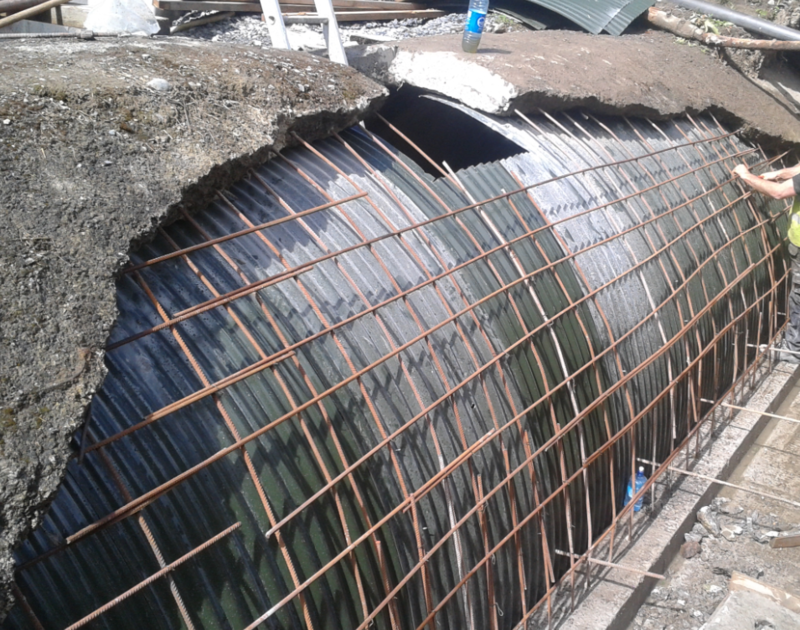 Works consisted of carrying out specialist emergency repairs to a 100M long section of concrete underground culvert (3m x 3m internal dimensions) located beneath a five storey office building, public roadway and public car park. All electrical, gas, telecom, water main and public drains within the vicinity of the culvert were carefully traces, relocated / protected and reinstated on completion. A traffic management plan was put in place to prevent unnecessary loading over the culvert. An elaborate damming / pumping system was put in place and was agreed after numerous consultations with the Fisheries Board. 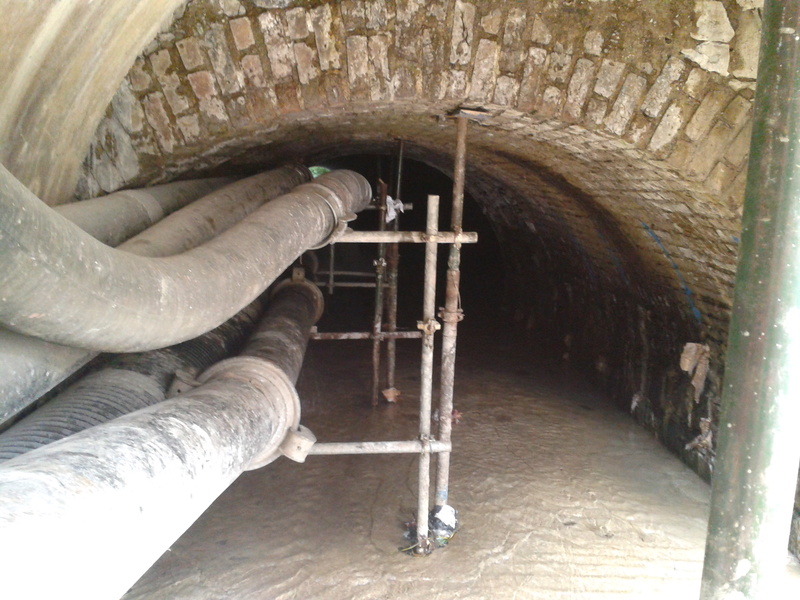 Boreholes were drilled through the culvert floor / walls and pressure grouted. 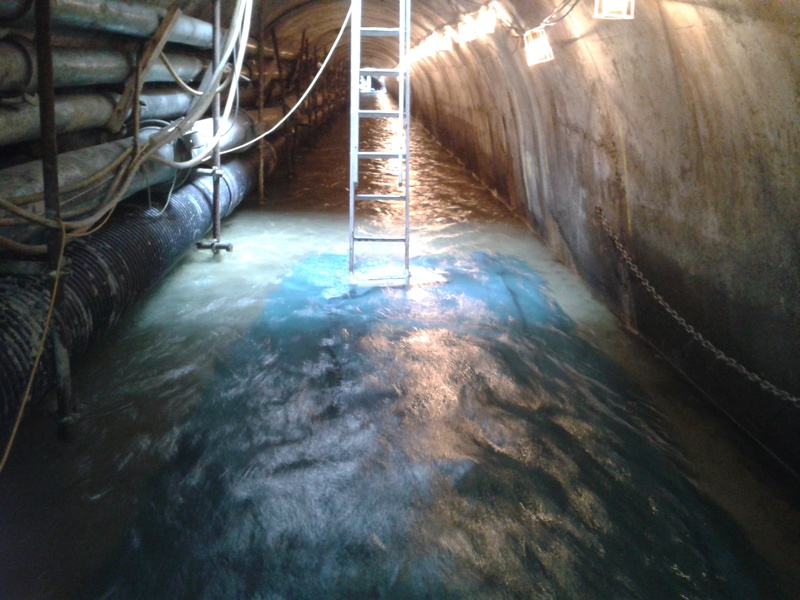 The entire floor was replaced and 10M section of culvert (supported on piles) was replaced in its entirety as it was beyond repair. Reinstatement of public footpaths and car park was carried out on completion. The works were carried out underground within a confined space environment and all equipment was manufactured specifically for the project. Extreme care was necessary to minimize disruption to the office building and public car park overhead which was in continuous use at all times during the works.